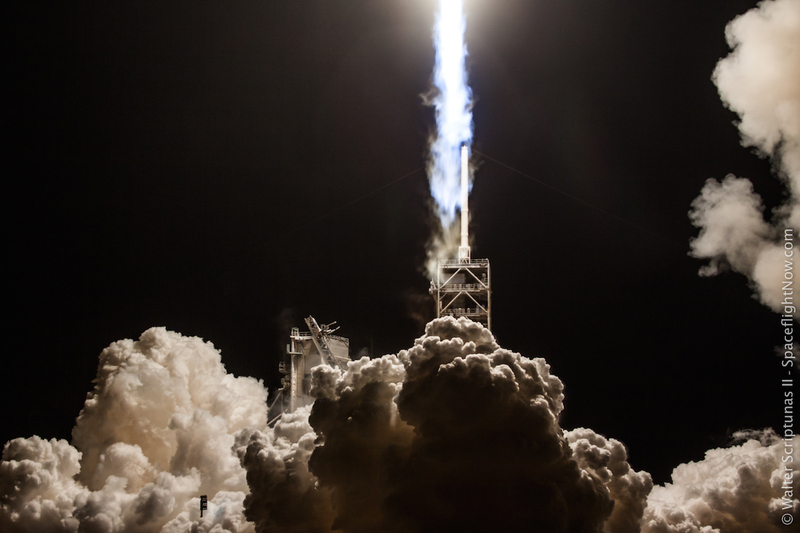 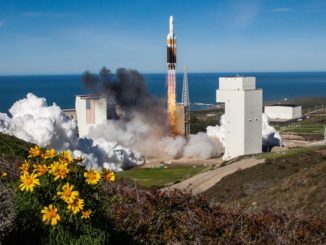 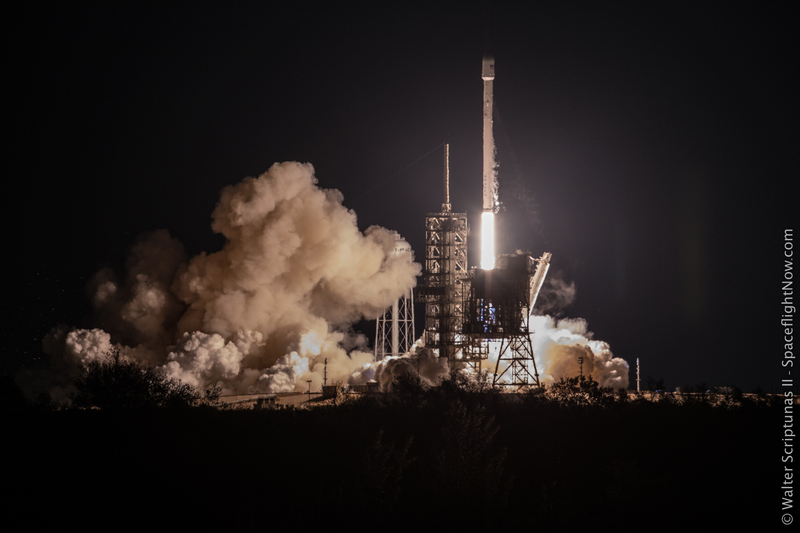 The EchoStar 23 communications satellite, on the way to a 15-year service life broadcasting television signals, launched aboard a SpaceX Falcon 9 rocket Thursday from pad 39A at NASA’s Kennedy Space Center in Florida. 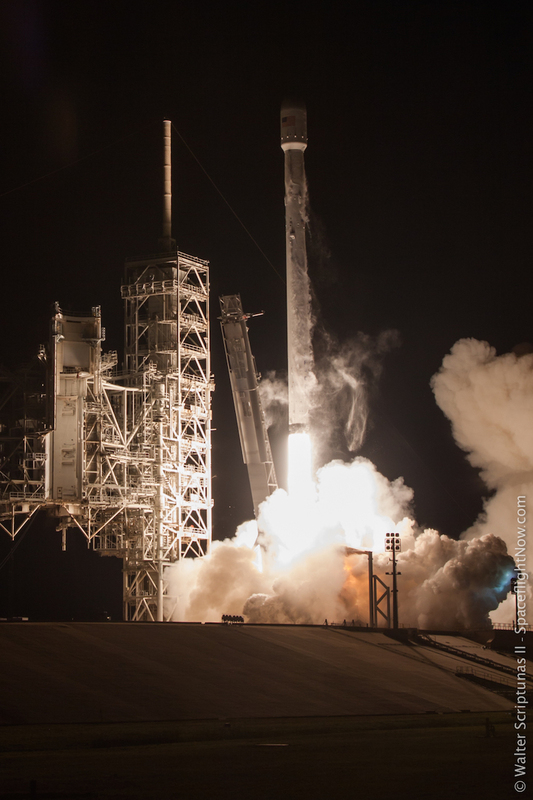 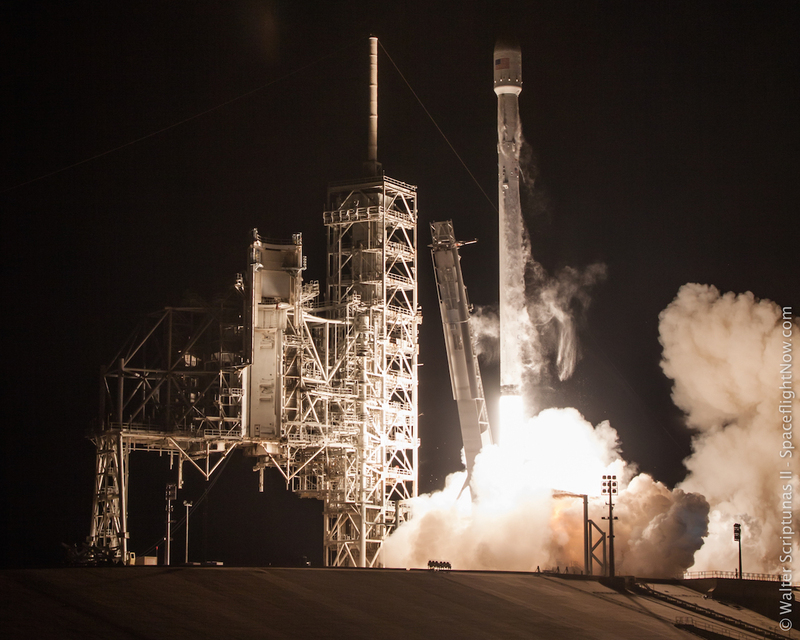 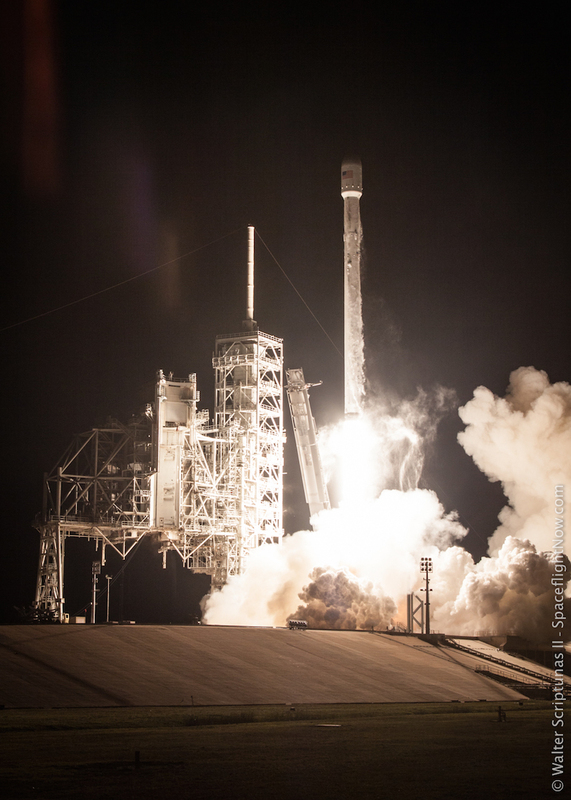 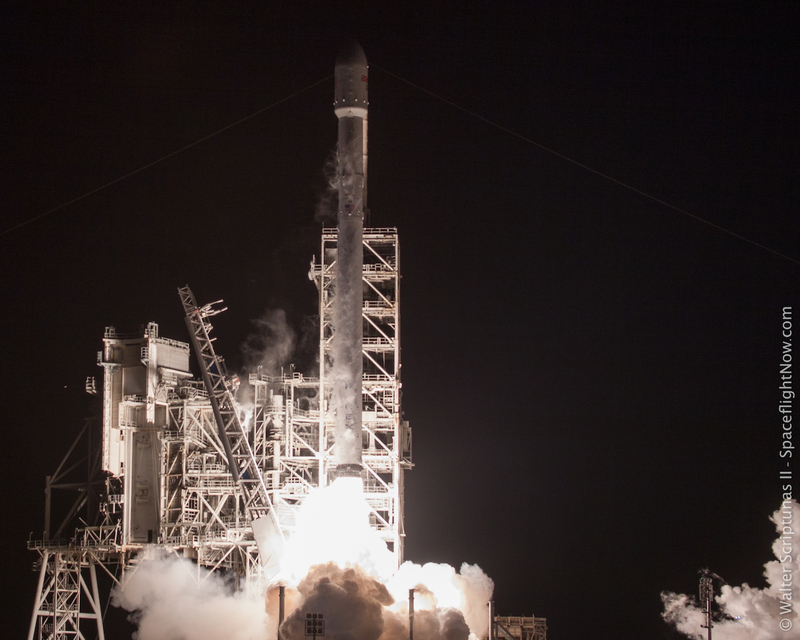 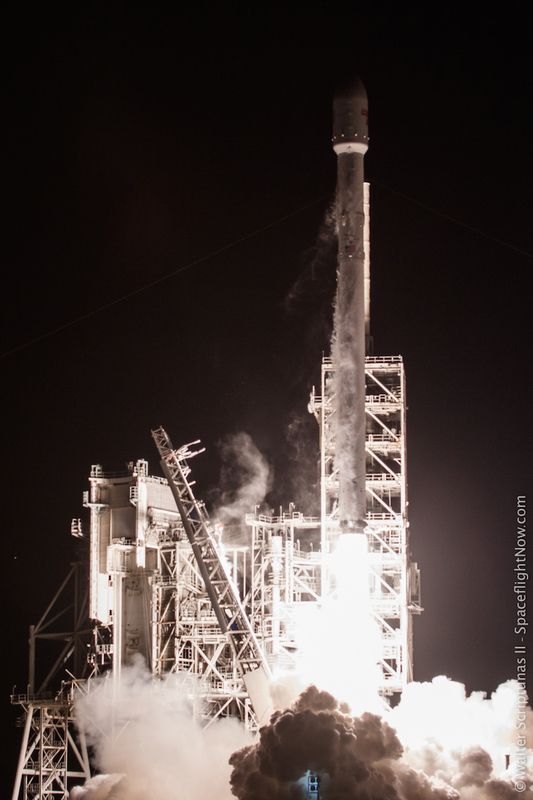 The 12,345-pound (5,600-kilogram) spacecraft took off at 2 a.m. EDT (0600 GMT) aboard the 229-foot-tall (70-meter) Falcon 9 booster. 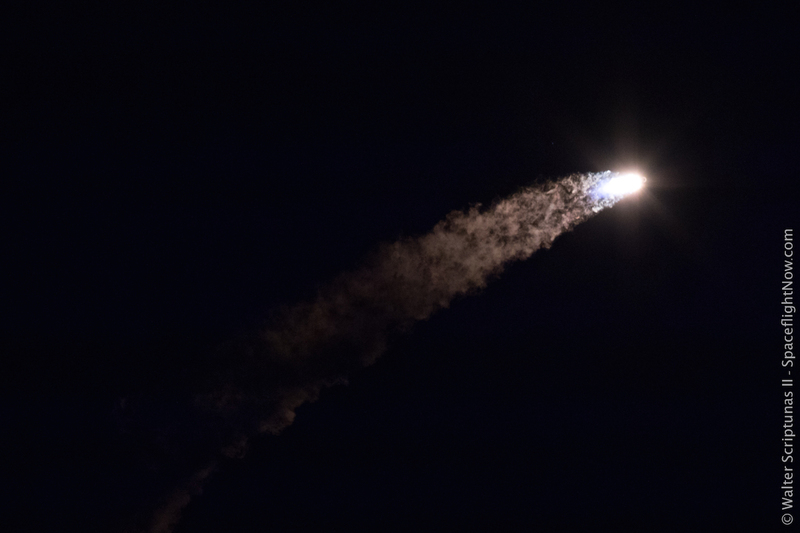 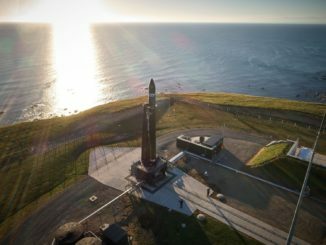 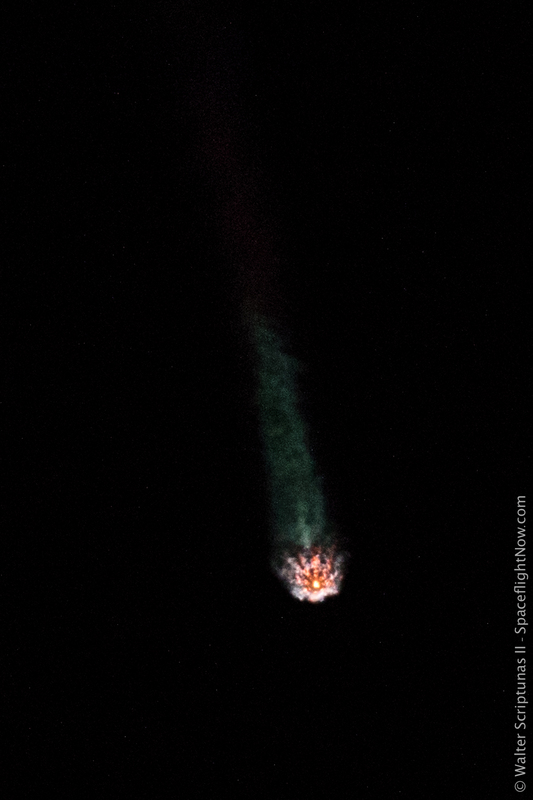 Around 34 minutes later, the rocket’s second stage released EchoStar 23 into an egg-shaped geostationary transfer orbit with a high point around 22,300 miles (35,900 kilometers above Earth. 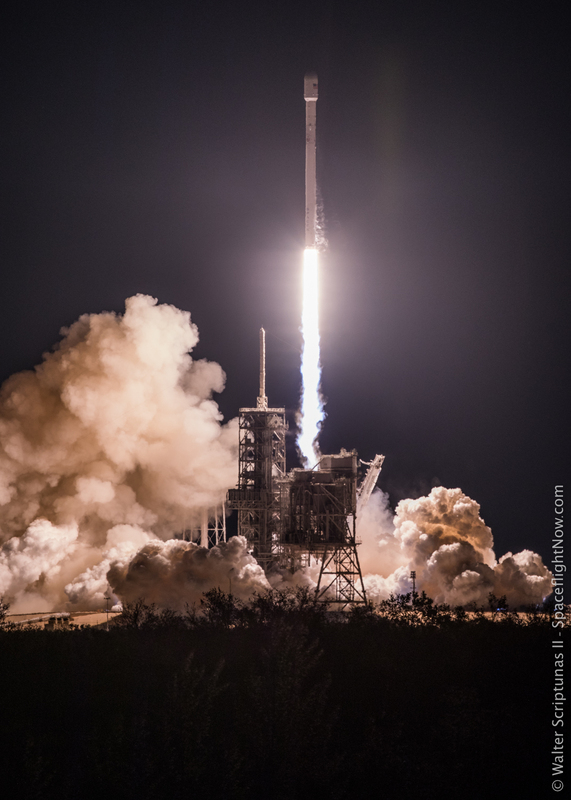 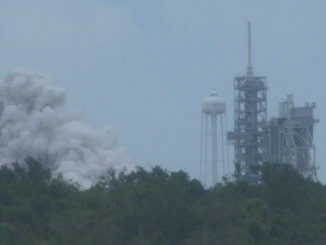 These photos from sound-triggered remote cameras at pad 39A, and from a viewing site around three miles (5 kilometers) away, show the kerosene-fueled Falcon 9 taking off and soaring east from Florida’s Space Coast.